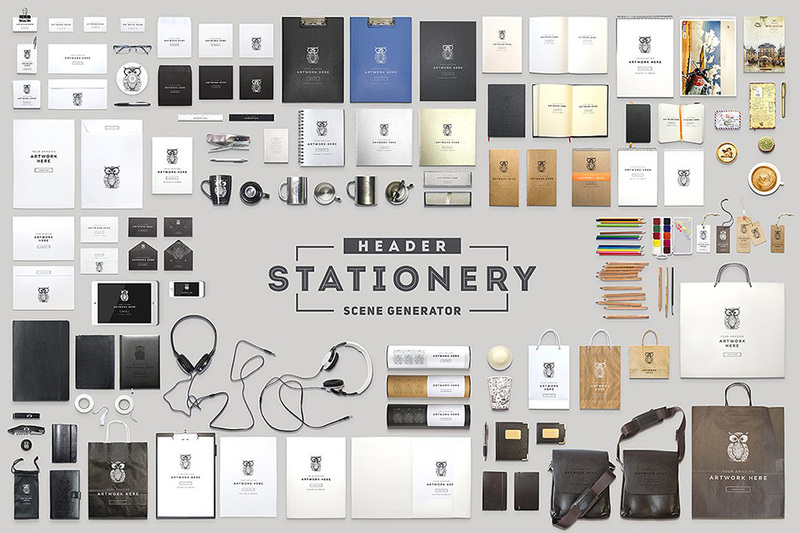 Create your own stationery, hero and header mockup compositions or use ready created set ups with our “Scene Generator”. All items have dynamic shadows, so you can move, rotate and scale any item, and get a perfectly matching light effect. These files are in high resolution, so you can rescale them to virtually any size, which makes them perfect for your print design projects. File size is approx 3.89GB unzipped, offered as a 3 part download. I bought this product a few weeks ago and I love what I am able to open. So far I have been unable to access 2_Elements and 3_Elements from Header-Stationary Scene Generator Part 1. The error message I am encountering says : “Could not complete your request because an unexpected end-of-file was encountered.” I am trying to open with Photoshop, I have enough memory space and am able to open every other file in the download except 2_Elements and 3_Elements. Thanks so much, any ideas would be extremely helpful! Thanks so much for your comment and I am so sorry that you are having trouble with this!